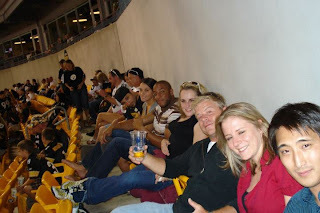 Pittsburgh Happy Hour: Heinz Field - What is your favorite stadium food? When I was a young child with the tastes of a young child, I simply adored stadium food. There was something about the variety, fat content and excitement of the big game that just made the entire process invigorating. I thought that stadium food was the best food in the world and that everything I had while watching a sporting match was the utmost pinnacle of modern culinary skill - I think I also felt this way about McDonald's. Somewhere along the way, the dream died. Rather than look forward to stadium food I became nervous about what I should eat before going to any type of event so I could avoid paying $16 for cardboard nachos and a smelly cheeseburger. I think this phenomenon was best described by Graham Linehan who said, "Every time you have McDonalds as a kid, it's a victory. Every time you have it as an adult, it's a defeat." I might have liked these stadium tacos as a child. As an adult, they tasted as bland as a discount frozen burrito and extremely rubbery. Somehow, even the normally pungent cilantro was totally lacking in flavor. 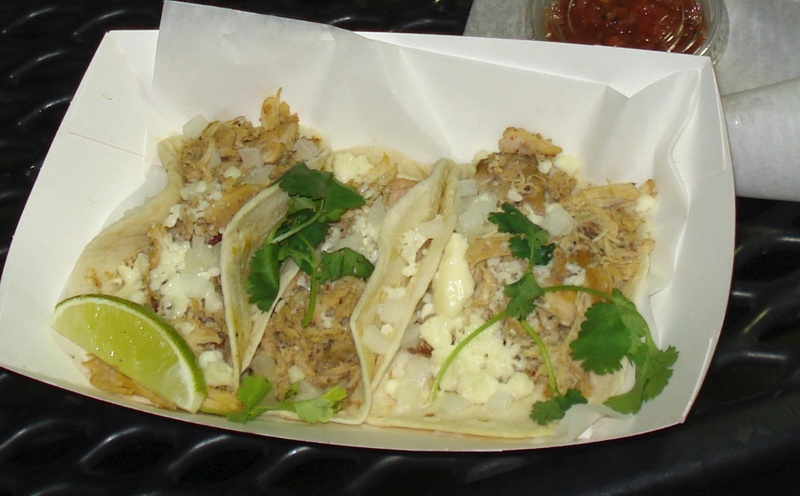 I'm pretty sure the chicken was the kind that comes in a liquid solution so that it can simply be slopped into a lousy tortilla shell on game day. My point isn't that all offerings at Heinz Field are terrible, it is just that they are all worse than their real world counterparts. The Quaker Steak and Lube wings we tried had clearly been sitting out all night. They were worse than the wings you'd get from a normal Quaker Steak and Lube. The terrible cheeseburgers were worse than the terrible cheeseburgers at a fast food restaurant and more expensive. Cheap domestic beer costs upwards of $8. Etc, etc, etc. Please let me know: is there any food at Heinz Field you actually like? Is there any food available at the stadium that you'd go out of your way to get somewhere else that is just as good at the stadium? I NEED TO KNOW, for science. The selection gets worse the worse your seats are, also. For the U2 concert, we were up in the tippy top, and all they had were nachos and nasty hamburgers. I have gotten good hot chocolate from Heinz Field before though, at a really cold game! I was hoping someone would post about Primanti's! I think their stadium sandwiches are the closest to being as good as at the restaurants, but just not quite there. 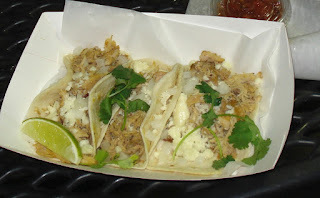 Next time you are at Steelers game you will have to try some of the new items that were just rolled out (http://www.aramark.com/PressRoom/PressReleases/NFL-menus-2012.aspx)and let us know if they are any better. The wings always have my heart! The Mike and Tony's Gyros, located on the lower level concourse, by the Coca Cola Hall of Fame, is the best food option in the stadium. Clearly, you have to like Gyros, but the lamb is freshly shaven off the bone right in front of you, the cucumber sauce is home-made, and the veggies fresh. All for 6 bucks. And they dont go cheap on the meat, either. Food for thought.